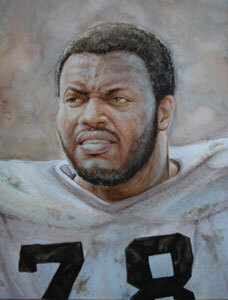 the many great Raider Heroes and many Hall of Famers. 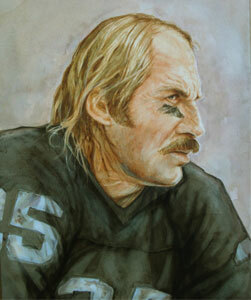 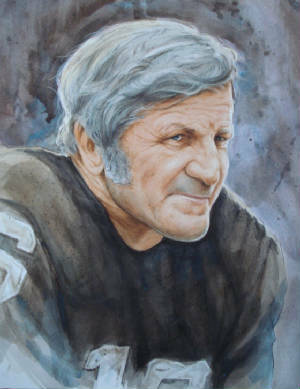 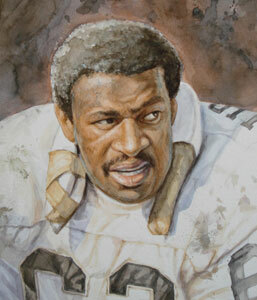 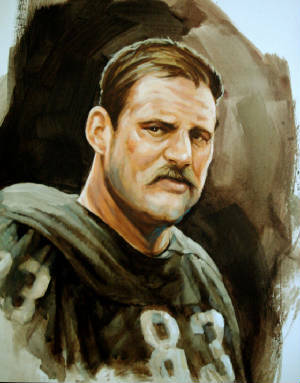 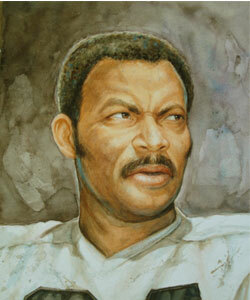 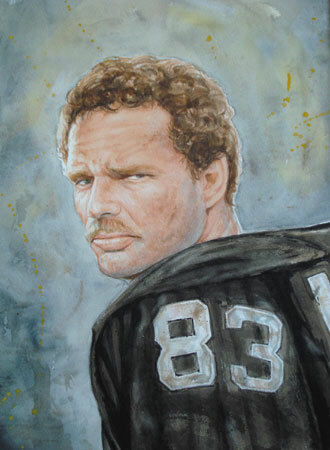 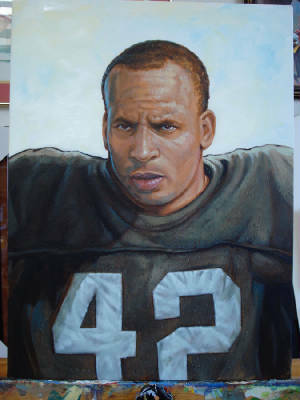 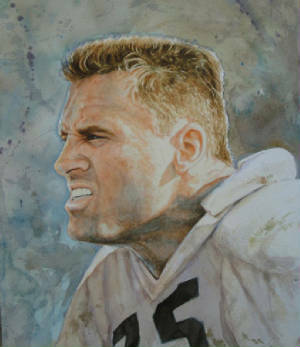 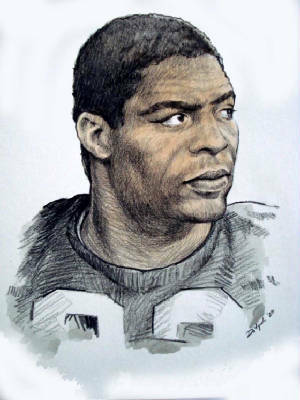 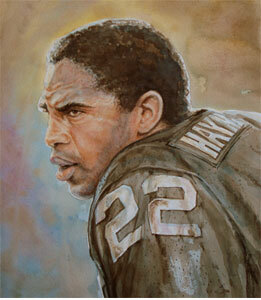 Many of these works are commissioned works by the Raider Organization and Individual players. 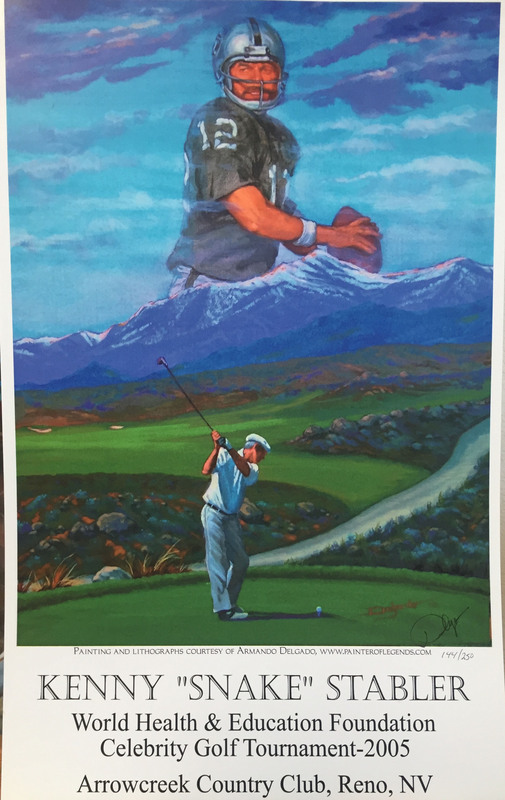 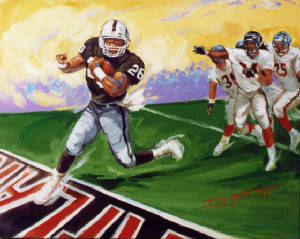 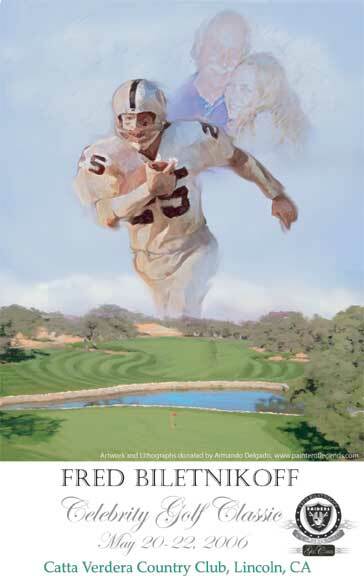 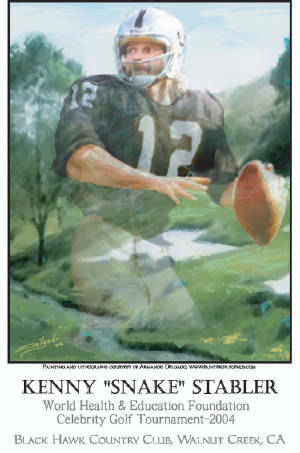 The artist has created works for many of the Raider's charities and have raised considered revenue for it's great causes. 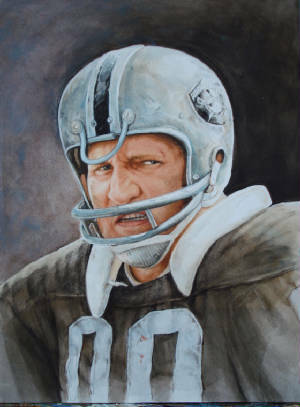 Enjoy and go Silver and Black!